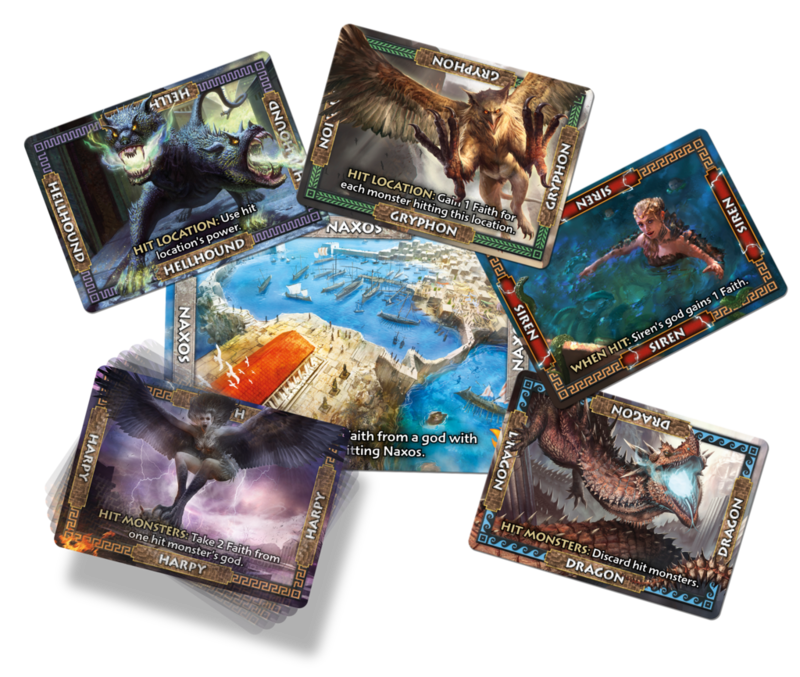 Ancient Greek mythology, monsters and large cards with beautiful art being thrown around a table might sounds like complete madness, but it’s actually just “mythic mayhem”. 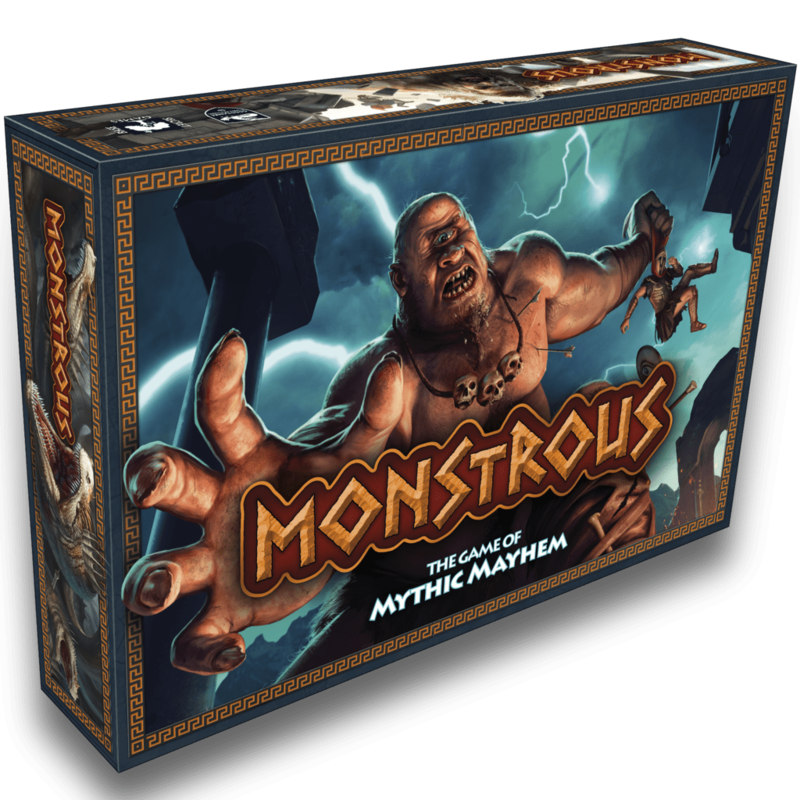 Monstrous is described as a tactical dexterity game by its creators Secret Base Games. Not a combination of words often seen together, but nevertheless it is a very accurate description of the game. Add to this the fact that it’s quick to learn, teach and play and you have a very attractive game for both kids and adults. And it looks great too. The game plays pretty simple, you take turns choosing a card from your hand (like a hydra or a pegasus) and throw them on the table. Hitting locations and other cards from previous turns will score you points, and each card has its own special rule. So the basics of the game is very simple but it quickly evolves into some nice tactical choices. Where should you throw your next monster? What do you want to hit? What will give you the most points? and do you think you can make the throw? 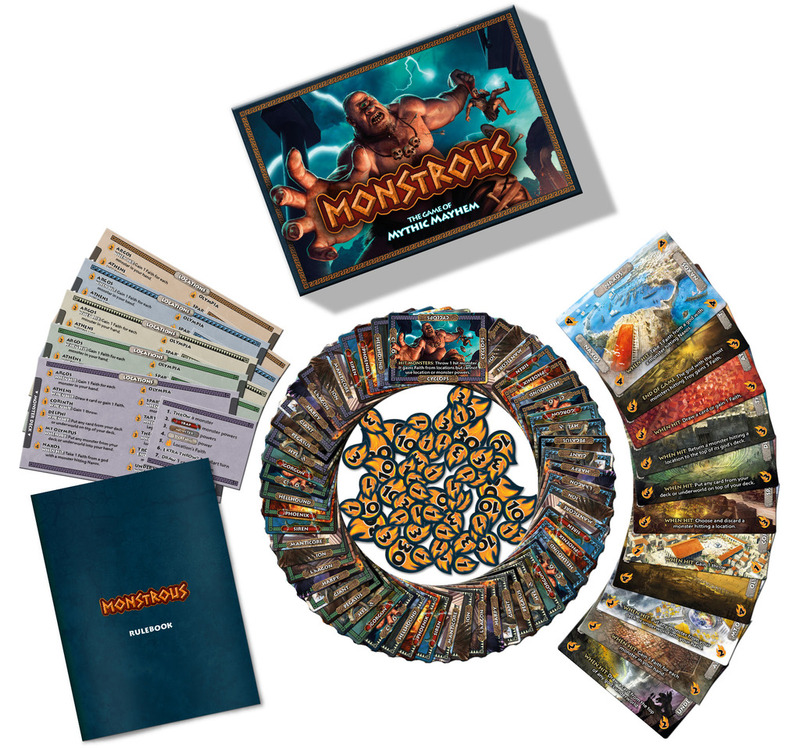 I’ll admit that dexterity games aren’t something I’m normally into, but Monstrous has me intrigued. The theme, the art, the tactical element it all works so nicely together and I can see myself enjoying a dexterity game for the first time ever. Monstrous is currently on Kickstarter until the 9th of July 2015.